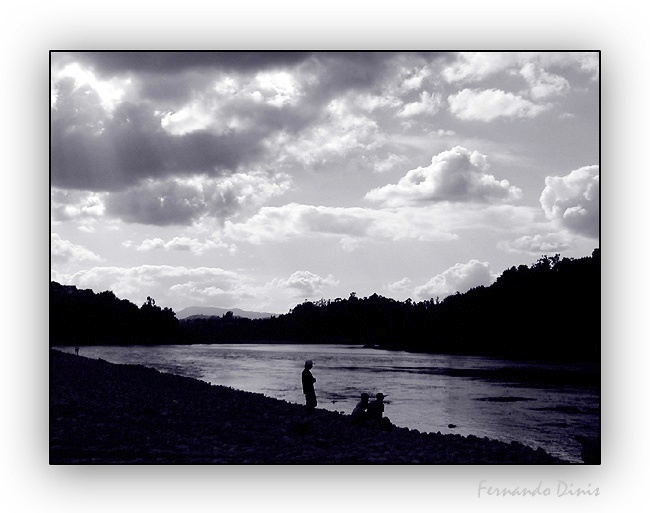 Фото "Children of the river"
I like this romantic photo, Fernando! With your signature, of extremity good taste!!!!! Very nice shot, Fernando ! The best thing I find about it, that it shows emotions, it gives some feeling of captured moment. The shining beams through the clouds and the deep darkness on the ground gives dynamic to it. Best thanks to you Fernando Dinis. Superb Phot my friend ! Well composed and seen, Fernando! Beautiful composition and the sky could not be more dramatic. Lovely silhouettes and a very peaceful scene.